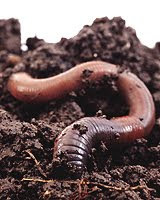 The large group of segmented worms known as annelids, which includes earthworms, leeches and bristle worms, evolved millions of years ago and can be found in every corner of the world. Although annelids are one of the most abundant animal groups on the planet, scientists have struggled to understand how the different species of this biologically diverse group relate to each other in terms of their evolutionary history. Now a team of scientists from Yale University and Dartmouth College has used a groundbreaking method to untangle some of that history. The researchers used a novel source of data—the presence and absence of different microRNA genes—to investigate the evolutionary relationships of annelids. MicroRNAs are small, non-coding genes that have long been known to play an important role in developmental biology but which have never before been used to study the evolutionary relationships between organisms. The team’s findings appear online September 9 in the journal Proceedings of the Royal Society B. Building on previous work done at Kevin Peterson’s lab at Dartmouth, which demonstrated the potential of using microRNAs to decipher evolutionary history, the team applied a form of high-throughput sequencing technology at the Yale Center for Genomics and Proteomics that uses a novel strategy to reveal the microRNA complement of an organism. They discovered that certain groups of organisms previously shown by molecular analyses to lie within the annelid family, such as mollusks and peanut worms, could not have evolved from the same branch of the evolutionary tree as the rest of the annelids. Instead, the team’s results demonstrate that annelids represent a unique evolutionary branch separate from these other organisms. They also show that the ancestral annelid more closely resembled a kind of bristle worm that lived on the seafloor, as opposed to the classical belief that it was a kind of burrowing worm that lived in the ocean mud. The team’s microRNA sequencing results also agree with the order in which the different annelids and their relatives appear in the fossil record—something that previous hypotheses about their relationships had failed to do, said co-author Derek Briggs, Yale’s Frederick William Beinecke Professor of Geology and Geophysics. “This study is an elegant example of how new methods can reconcile results from molecular sequencing of living animals with information from the fossil record,” he said. WILL KEPLER FIND HABITABLE MOONS? A VIRAL CAUSE OF PROSTATE CANCER?